Suicide Squad, Warner Bros.' upcoming movie on DC’s famed team of supervillains working for the US government, wrapped production earlier this week. While principal filming of Suicide Squad is finished, there's still nearly a year to go until this dark look at the DC Universe hits theatres. 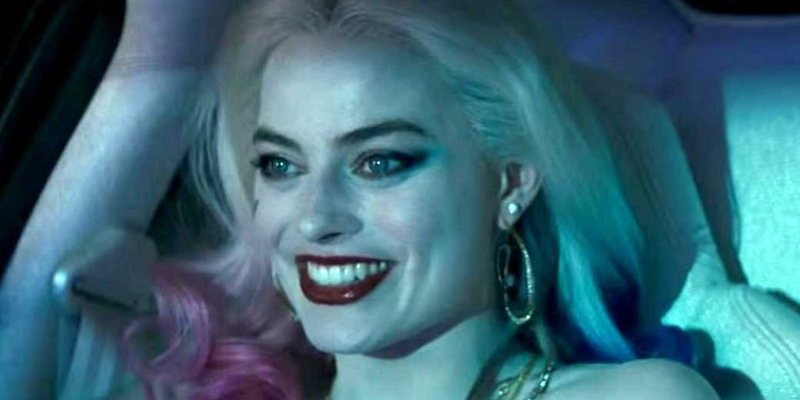 And much of Suicide Squad's plot is still under wraps, leaving many fans in the dark about how the film will fit into the greater DC Universe. Luckily, ComicBook.com is here to help. We’ve summarized everything we know about Suicide Squad (plus some of the more plausible rumors) for a handy summary on DC's band of criminals. Much like in comics, WB is recruiting villains and heroes from every corner of the DC Universe for its Suicide Squad roster. 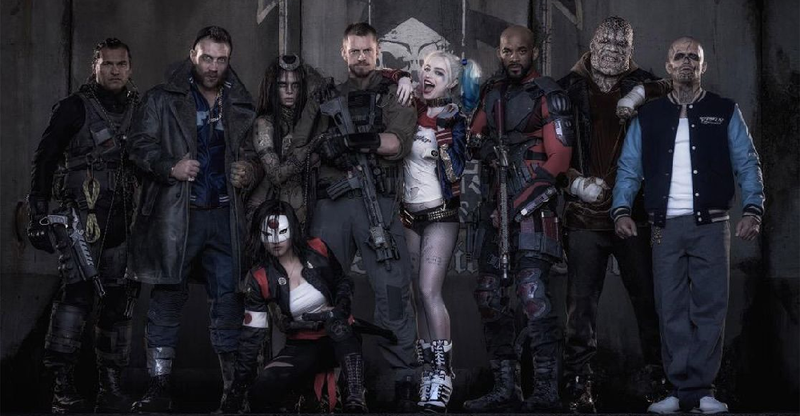 In addition to movie stars and presumably lead roles Deadshot (Will Smith) and Harley Quinn (Margot Robbie), established villains Captain Boomerang (Jai Courtney), Killer Croc (Adewale Akinnuoye-Agbaje) and Enchantress (Cara Delevingne) will also join the Suicide Squad along with C-list rogues like El Diablo (Jay Hernandez) and Slipknot (Adam Beach). A surprise addition to the Suicide Squad is the hero Katana, as played by newcomer Karen Fukuhara. Leading the team is Rick Flag (Joel Kinnamen), a long time government operative and military officer. We don’t know who makes it out of Suicide Squad alive (the group has its name for good reason), but there’s also at least one rumored twist about a Squad member which could set up the Justice League movie in a big way. 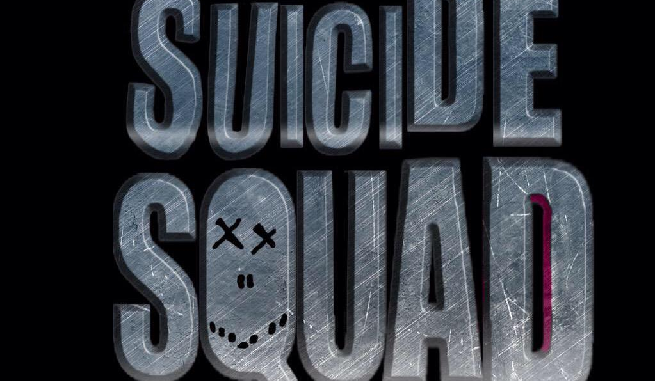 What will the Suicide Squad actually do in the film? Details are still vague, but one well-sourced rumor indicates that the Suicide Squad will be stopping an “arms deal” between Lex Luthor and a gang of superpowered criminals called the Onslaught, which are based on a group of early Suicide Squad villains. The “weapon” Luthor is purchasing ends up being the Enchantress (pictured above), whom Luthor wants for her magical abilities. Later in the movie, Amanda Waller will allegedly send the team to recapture the Joker, who broke out of Belle Reve prison during a riot. The Joker is important to Waller since he represents the only real lead she has on the mysterious Batman, who is more of a rumor in the DC Cinematic Universe than an established superhero. Considering Ben Affleck’s Batman will also appear in the movie, it’s possible he’ll also get involved in the manhunt. This would give Waller a prime opportunity to observe the Caped Crusader in person for the first time. Suicide Squad not only features a diverse roster of DC supervillains on the team, but in minor roles and cameos as well. Hopefully, we'l see villains like King Shark, Deathstroke, the Thinker, Black Manta, Hugo Strange and countless other supervillains incarcerated at Belle Reve, the Suicide Squad's prison-home. Several of these villains may have bigger roles in the DC Cinematic Universe moving forward. The movie will also feature some pretty big hints about the wider DC Cinematic Universe, courtesy of a trophy case that Amanda Waller keeps in her office. Among the various mementos kept by Waller is Aquaman’s trident, who we may see already in captivity in Batman V. Superman. While Suicide Squad might not feature the origins of every villain on the team, we may see flashbacks for at least one popular superhero villain. Set pictures from Suicide Squad revealed a scene between the Joker and Harley Quinn with Harley dressed in professional attire. Many speculated that the scene could be a flashback to when Harley was Dr. Harleen Quinzel, the Joker’s psychiatrist. Ace Chemicals, the site where the Joker first “became” the Joker, will also appear in the film. Just don’t expect Harley Quinn to wear her classic “jester” costume from Batman: The Animated Series. All the pictures we’ve seen show Harley in costumes that toe closer to her “New 52” aesthetic. 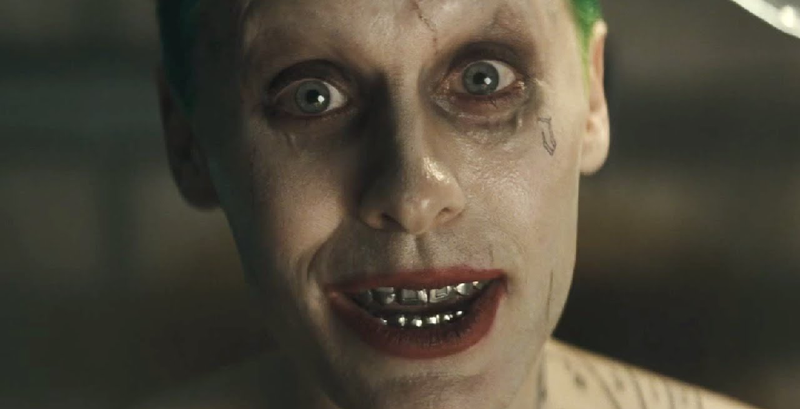 The Internet had a blast the day Warner Bros. revealed the tatted-up look Jared Leto's Joker will have in Suicide Squad. But if you didn’t like the Joker's radical redesign, you’ll probably be happy to hear that the Clown Prince will don costumes pulled straight out of famous Batman comics. Set photos showed the Joker in a white suit similar to his outfit in Frank Miller’s The Dark Knight Returns (which the DC Cinematic Universe supposedly draws strongly from) and Jared Leto teased that he’ll also appear in an outfit similar to the Joker’s famous “vacation” look in Alan Moore’s controversial The Killing Joke. A picture of Leto's phone also hinted that his version of the Joker might take some cues from the villain’s early appearances in “The New 52”, when the Joker had his face surgically removed by the Dollmaker. 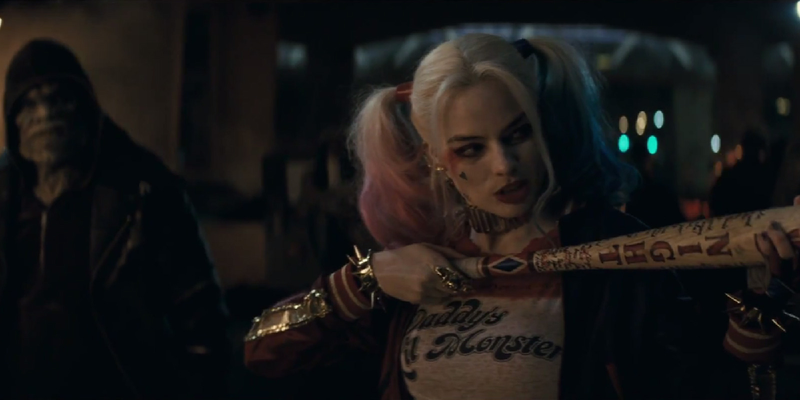 The only official Suicide Squad footage we've so far comes courtesy of a teaser trailer that debuted during San Diego Comic Con. Surprisingly, the trailer beat out a new trailer for Batman V. Superman released on the same day, which gives a hint at just how much people are looking forward to the film. You can find ComicBook.com's extensive coverage of the trailer here, here and here, or just watch the trailer on your own and let us know what you think. What do you want to see in Suicide Squad? Let us know in the comments! Suicide Squad opens on August 6, 2016.